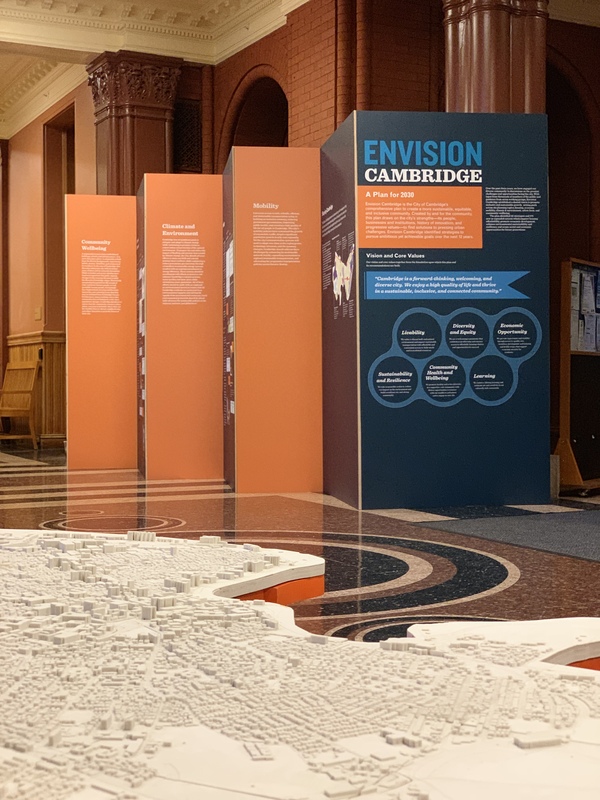 Join Utile and the City of Cambridge to celebrate the completion of the Envision Cambridge process tomorrow (1/24) at 6pm at the Main branch of Cambridge Public Library. 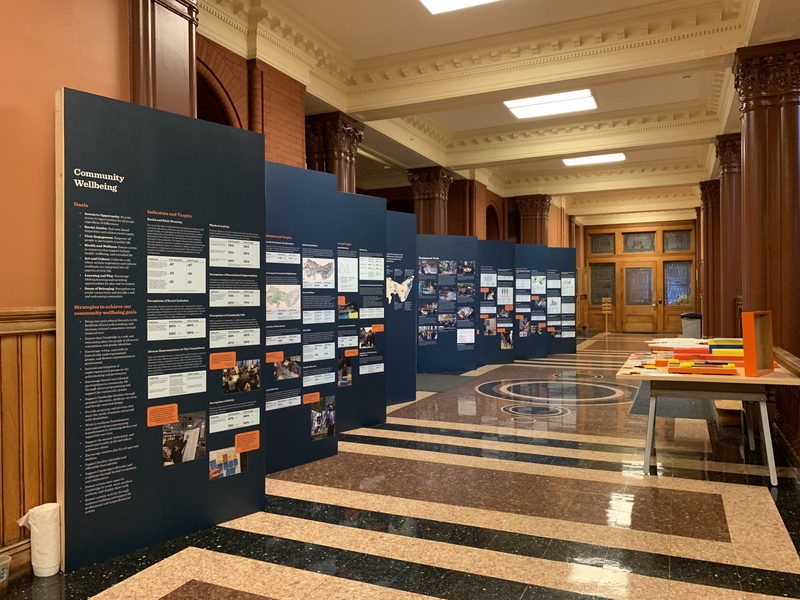 The city’s new master plan will be highlighted through an exhibition of the final goals and targets from the citywide planning process. Thousands of voices from the Cambridge community have informed the strategies for making Cambridge more livable, sustainable, and equitable. Copies of the Executive Summary will be available at the event, with the full plan expected to be released in February. The project is led by Utile with an interdisciplinary team of collaborators. The event will include a speaking program, refreshments, and a gallery exhibit detailing the planning process. 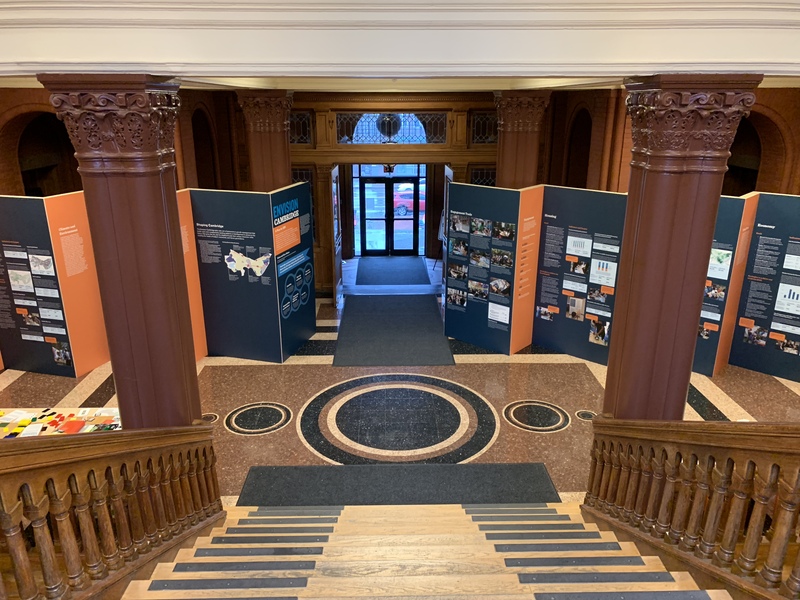 Stop by to learn about the plan recommendations and how they will serve as a roadmap for Cambridge’s future. Exhibit design and photos by Interboro Partners.